Reprisal is a currently-WIP project of mine. 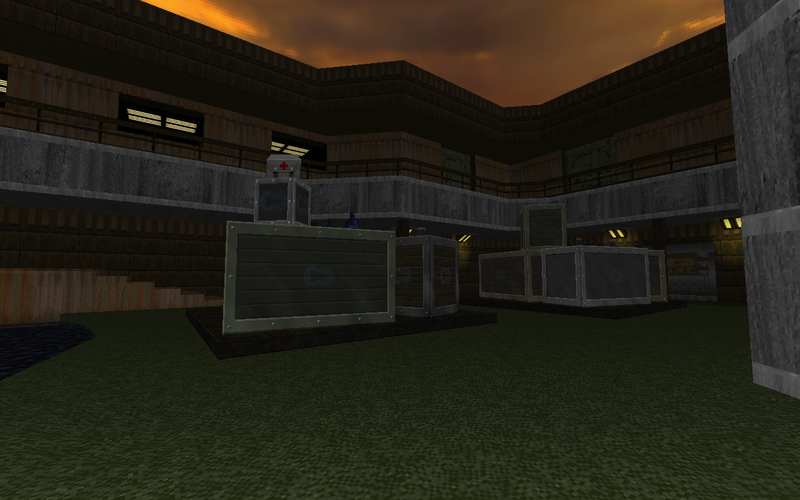 Originally it was going to be a full 32 map megawad for limit-removed Doom 2, but over time has evolved into a 4-episode partial-conversion for GZDoom, including new weapons, enemies, textures and music. Work on Reprisal has been pretty slow over the years, as most of my doom-related time has been spent on developing SLADE, which incidentally is being used to create Reprisal. As it is a work-in-progress, pretty much everything on this page is subject to change before it is done. Reprisal consists of 4 episodes, each with a different overall theme. Currently the plan is to have each of the first 3 episodes playable in any order, with the 4th only being unlocked after completing them. 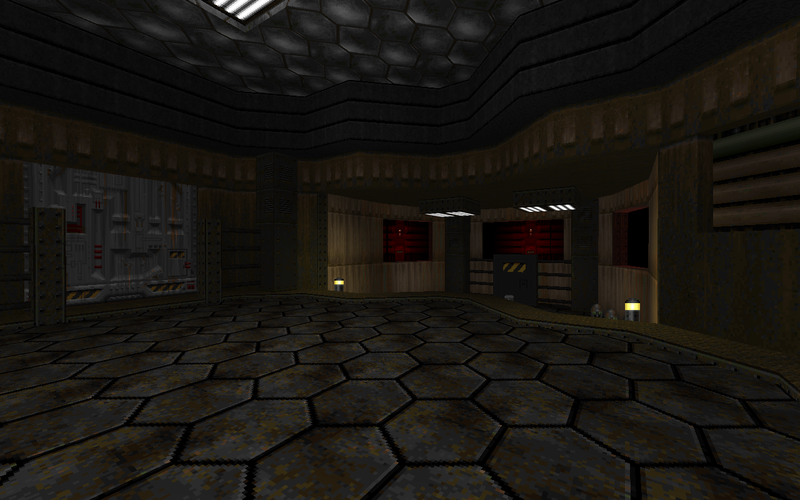 Each episode is currently planned to have 6 regular maps, a boss map and a secret map. Depending on my motivation there may be more, who knows. Your standard 'base' themed episode. This episode is the least complete so far, and so I don't really have a concrete plan for it yet. 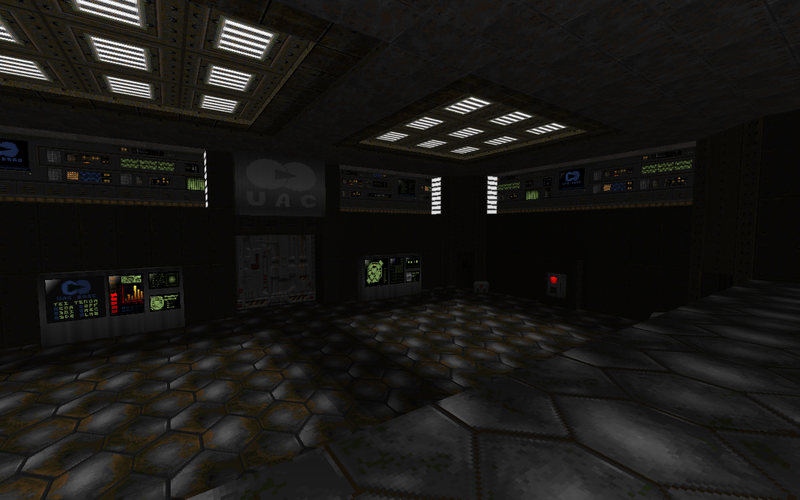 My current thinking for this one is for the first few maps to be fighting through a demon-infested fleet of space ships, and eventually escaping down to the alien planet below them, to find the source of the invasion (and whatever it is you need to unlock the 4th episode). This episode has a dark, gothic theme. 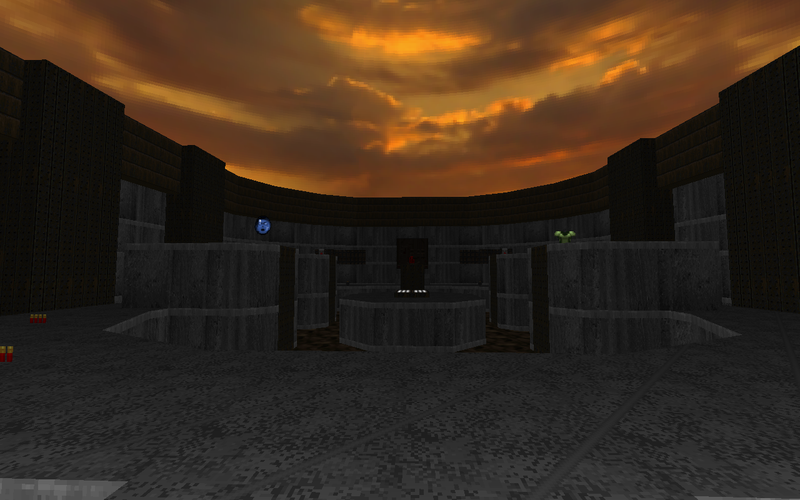 The first four maps are/will be remakes of what I had done for BloodRust 2 before abandoning it. 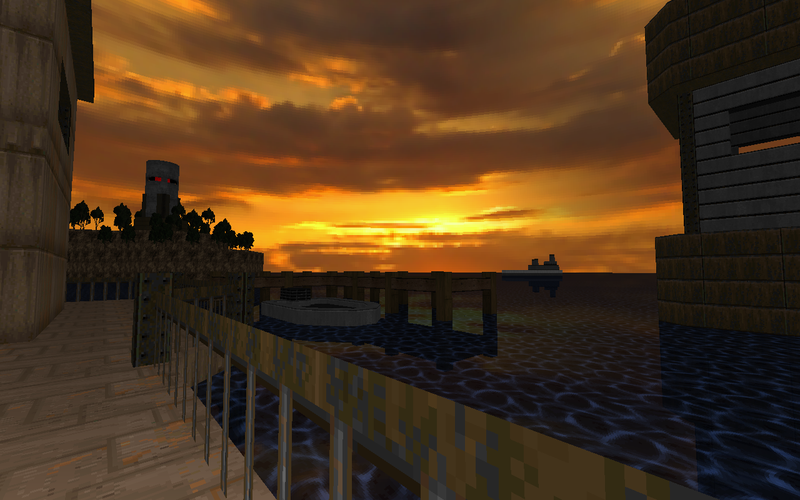 In the final episode you fight your way through the demons' homeworld. I'd like to go for a more abstract/weird theme with this than straight up fire & brimstone. Reprisal features a full new set of weapons, mostly taking inspiration from Doom and Quake1/2. 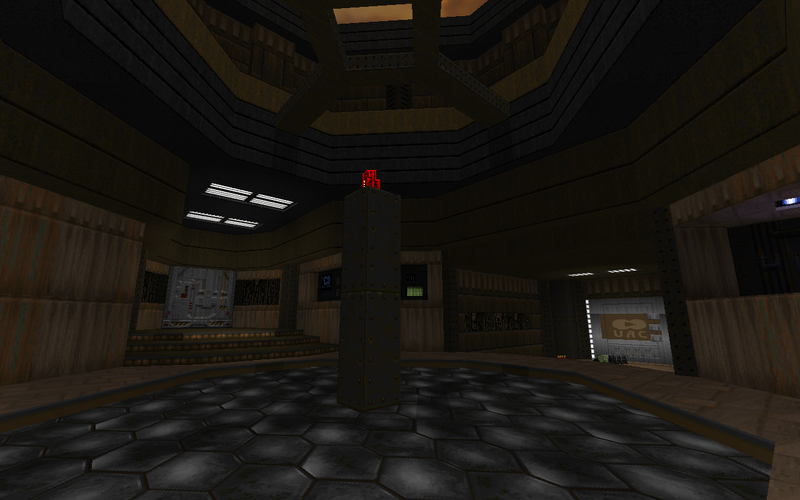 I've generally tried to keep them simple as I still want to keep Doom's more fast-paced, run-and-gun gameplay. So, no reloading, alt-fire or anything like that. The weapon sprites are kind of placeholder, I'd like to find some better ones however if I can't the current ones should do fine. The basic weapon you start with. Fires small, weak plasma projectiles. It's basically the same as the blaster from Quake 2. A fast-firing shotgun with 4 cycling barrels. 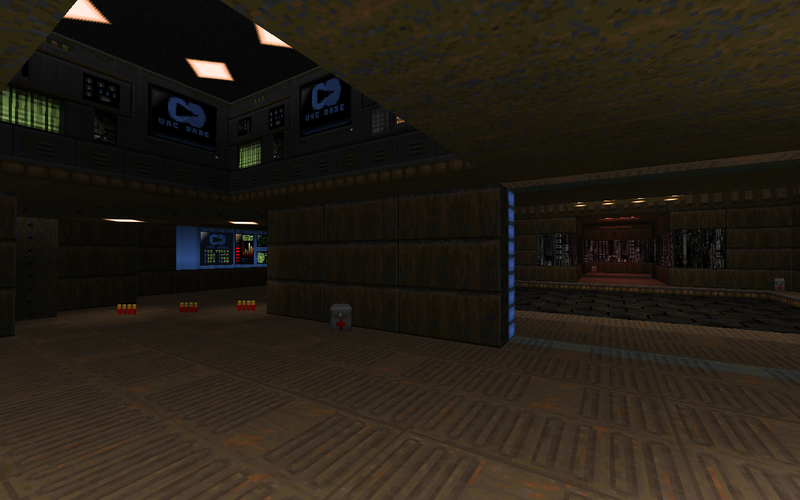 Mechanically it's pretty similar to the Quake 1 shotgun, and fills a similar role. A slow-firing, powerful shotgun. This is like something in-between the Doom shotgun and super-shotgun. Your basic rapid fire weapon. Faster and more powerful than the machinegun, but much less accurate. 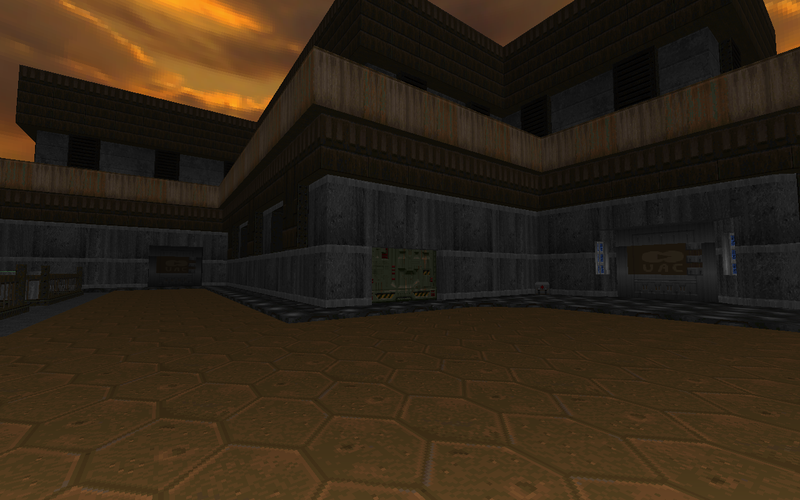 Pretty much a tweaked Doom rocket launcher, with a slightly slower firing rate and faster moving rockets. Take the blaster, make it rapid fire, more powerful and use cell ammo, and you have the plasma cannon. A large plasma weapon that fires two large plasma bolts at once, at a medium rate of fire. 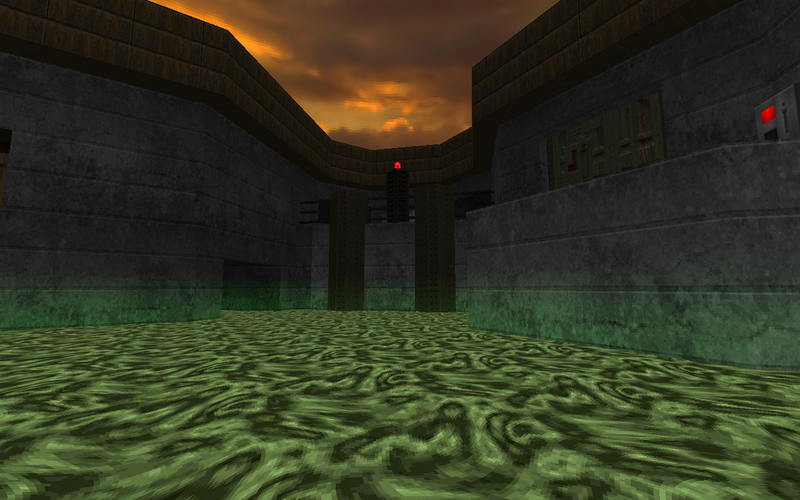 The bolts also cause splash damage (but not to the player). The name is probably going to change. Reprisal adds (and replaces) various new enemies, most of which are simple upgraded versions of the existing Doom enemies. The names are very much not final, and I'll likely add a few more unique ones later. A straight-up replacement for the Doom former human, except this one shoots a blaster instead of a rifle. Has a machine gun and fires in short bursts. 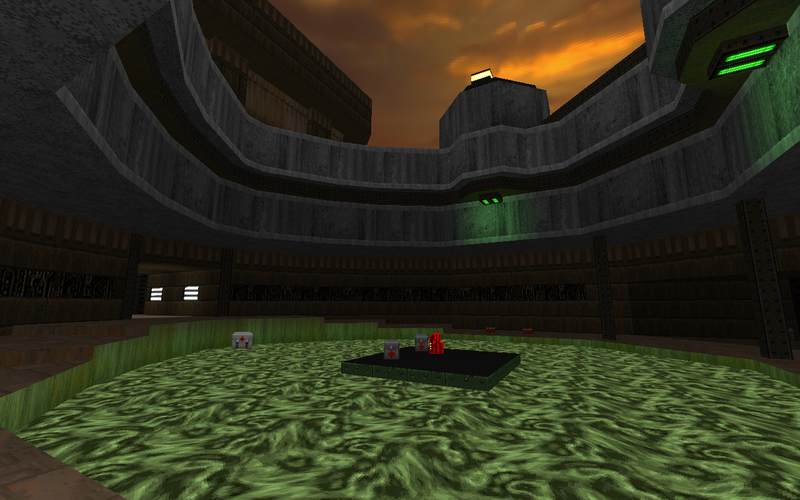 This one has a ShotCycler, and is a little tougher than the previous two. A beefier version of the Demon, which shoots fireballs from its mouth and can jump at you on higher difficulties. A beefier version of the Cacodemon with a fast alternate attack on higher difficulties. With Reprisal I'm taking a bit of a different approach to the different difficulty levels than usual. The main thing that will change with difficulty levels is how much damage the enemies do and how difficult it is to avoid said damage. All difficulty levels will have the same amount of enemies/ammo/health. Also, some enemies will gain alternate/improved attacks on higher difficulty levels. 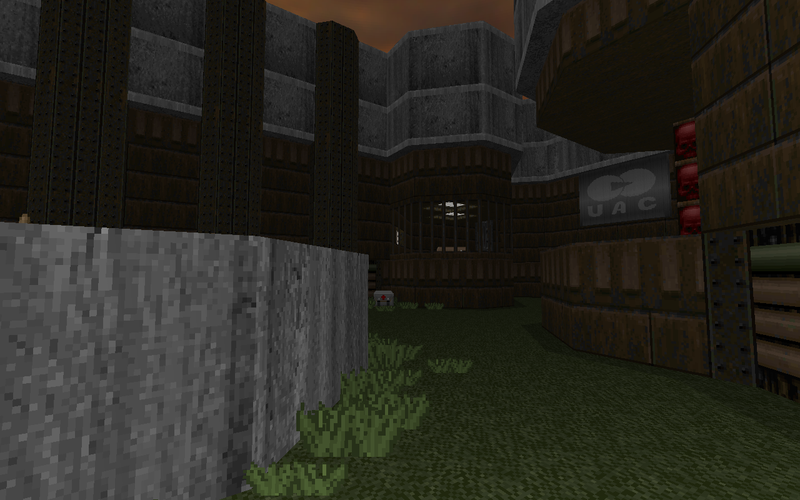 Each episode will have a secret map (as per usual for a Doom map pack :P), though rather than having to find a single secret exit to gain access, what I'm currently thinking is that in the secrets on each map you'll find some kind of fragment, and if you collect enough of them over the course of the episode, the secret map entrance will open up after defeating the boss of the episode. Another thing I'm thinking of for Reprisal is some kind of score system, where you score points for various things like finding secrets, kill streaks, avoiding damage, etc etc. Whether your score gives any kind of gameplay bonus I'm undecided on, but it'd be a cool thing to do.